After 28 years in the Pittsburgh Symphony Orchestra, and 12 years as Music Director of the Edgewood Symphony Orchestra, Roy Sonne took early retirement in order to devote himself to an ever-increasing number of musical projects and interests. ORGANIZING AN EL SISTEMA TYPE PROGRAM IN PITTSGURGH: Roy is currently working to organize an after school music program in the Hill District of Pittsburgh, based on the spectacularly successful El Sistema program in Venezuela, which has transformed the lives of over 800,000 Venezuelan children from impoverished circumstances. STRING TEACHING PROJECT IN BOLIVIA: Initiating a new annual activity in 2009, Roy designed, organized and led an Educational Festival/Seminar for strings in La Paz, Bolivia, working with string players from the Bolivian National Symphony and the National Conservatory of Music. PRIVATE VIOLIN TEACHING: He is currently on the faculty of Carnegie Mellon University Preparatory Dept . and The Music Room, Irwin, PA. He also maintains a large private teaching studio in his home in Mt. Lebanon, PA.
CONCERT APPEARANCES: Recitals, chamber music, concertos, and conducting appearances in the Pittsburgh area. JAZZ VIOLIN EXCURSION AND “STRINGS WITHOUT BOUNDARIES” Roy started playing jazz violin at age 60, after a 40 year career as a symphony musician. He studied jazz improvisation with Christian Howes and James Johnson. He was a founding member of "Blues on First" Pittsburgh's only jazz string quartet. He was a member of the house band the Third Street Gallery in Carnegie, PA. 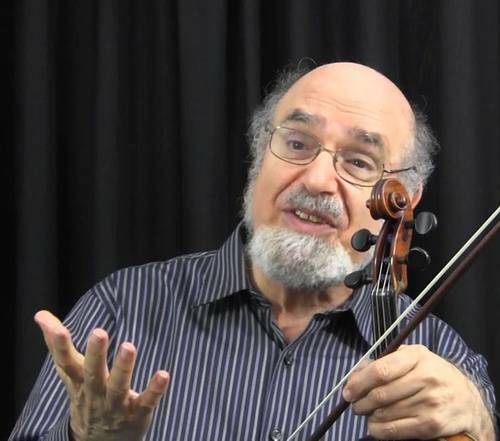 He founded the Pittsburgh Jazz and Fiddling Camp at Duquesne University, offering classically trained string players a week of total immersion into jazz, rock, fiddling and world music. The camp is now preparing for its tenth season and renamed Strings Without Boundaries. ​CLINICS AND WORKSHOPS FOR STUDENT ORCHESTRAS: Roy continues the work he started as a Pittsburgh Symphony Ambassador, making frequent visits to high schools in the Pittsburgh area, to do workshops and coaching sessions. His innovative string workshops for community and student orchestras combine group technical instruction, masterclasses and string orchestra.